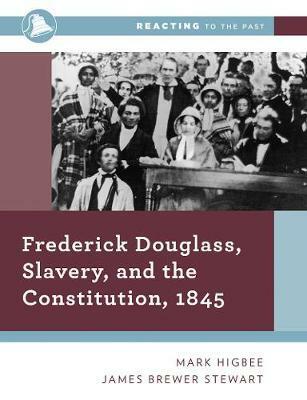 Frederick Douglass asks students to confront an explosive question: How, in a nation founded on ideas of equal rights and freedom, could the institution of slavery become so entrenched and long-lasting? How was slavery justified and how was it criticised? At a literary forum, students consider the newly-published Narrative of Frederick Douglass and hold a hearing on John C. Calhoun's view of slavery as a "positive good". Finally, players address the US Constitution, its original protections of the slaveholders' power and the central question: Are Americans more beholden to the Constitution or to some "higher law"?